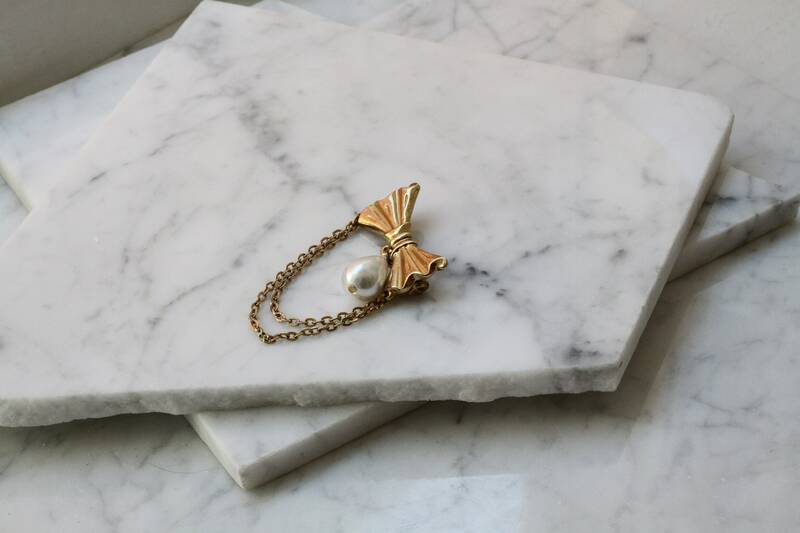 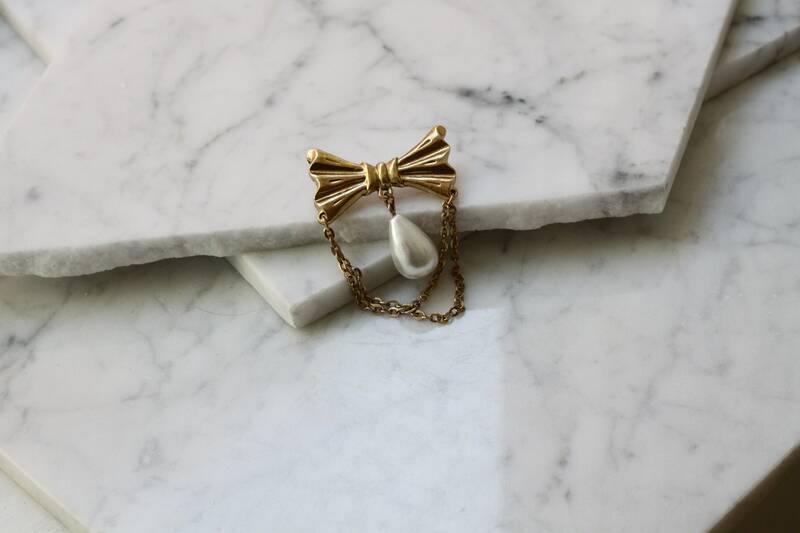 Pretty 1980s yellow gold bow and pearl brooch with chain attachment that drapes lower than the brooch. 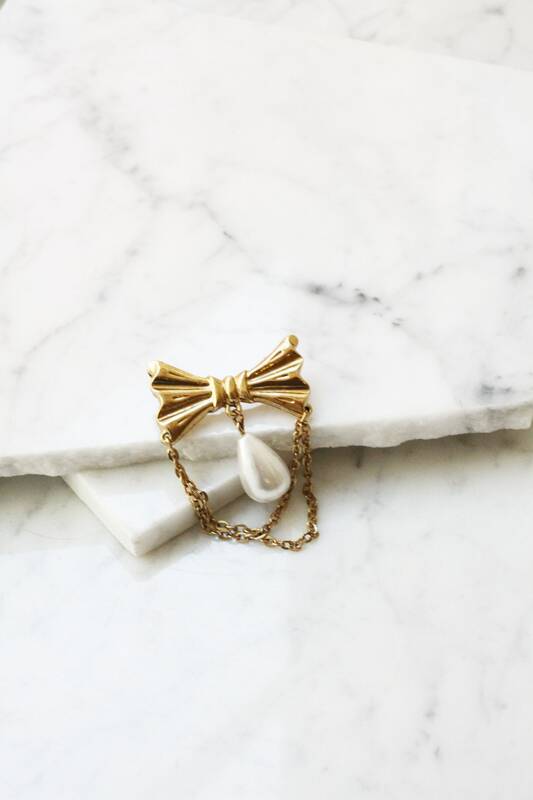 I love how the large pearl delicately hangs in between the bow and the chains. 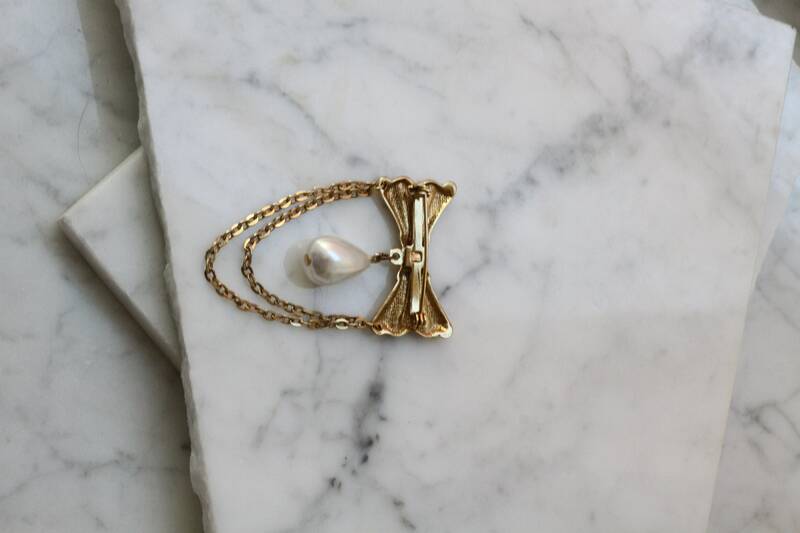 Bar clasp for closure on the back.